Facebook is following through on a pledge to deploy its Safety Check feature more often, activating the tool for the second time in less than a week following a bomb blast in Nigeria. "We've activated Safety Check again after the bombing in Nigeria," CEO Mark Zuckerberg said in a Facebook post. "A loss of human life anywhere is a tragedy, and we're committed to doing our part to help people in more of these situations." At least 31 people were killed and 72 others injured in a bomb blast that ripped through the northeastern Nigerian city of Yola on Tuesday, according to Aliyu Maikano, a local Red Cross official. 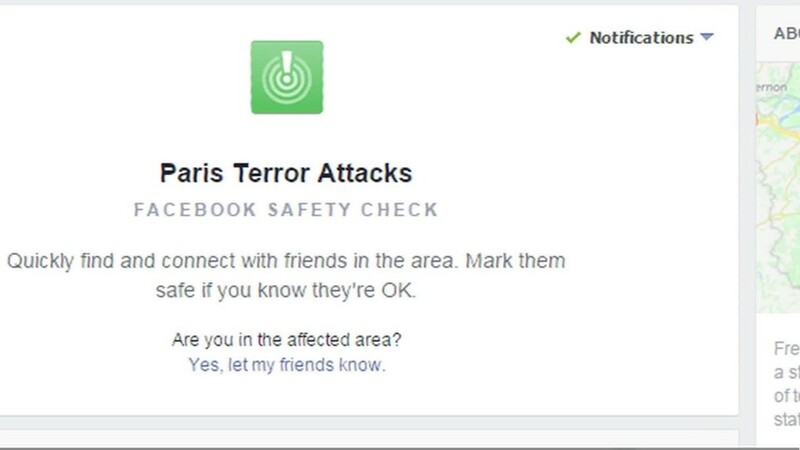 Facebook (FB) faced criticism after it activated Safety Check following the Paris attacks last week. While 4 million people marked themselves as "safe" with the tool, some users asked why the people-finder feature wasn't used following other violent incidents, including a recent bombing in Beruit. Facebook's policy up until the Paris attacks was to activate the feature only for natural disasters. But Zuckerberg said that in the future, it will also be used for human disasters. Safety Check asks users if they are safe, and allows friends to view the responses. "We're now working quickly to develop criteria for the new policy and determine when and how this service can be most useful," Zuckerberg said Tuesday. It's unclear how often Facebook will activate the feature. But the response to the Nigeria bombing suggests it could be used much more widely. Nigeria has suffered a wave of terror-related violence in recent years. The country suffered 7,512 deaths from terrorism in 2014, a 300% increase from the previous year. More than 32,000 people around the world were killed by terrorism in 2014, according to the Global Terrorism Index report. -- Aminu Abubakar, Hope King and Katie Pisa contributed to this report.